Incumbent Democratic Senator Mary Landrieu is expected to win the most votes in the three-way race in Louisiana on Tuesday, but polls show that in the case of an almost certain runoff, she’ll lose to a Republican challenger. 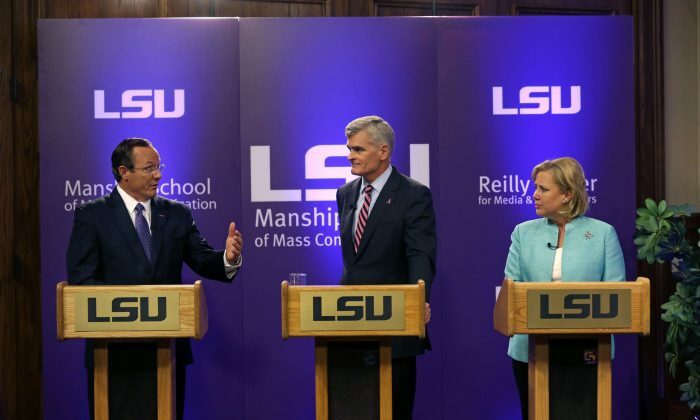 A Marist College poll released Sunday has Landrieu getting 44 percent of votes, and a Family Research Action poll released Monday 36 percent, both short of the 50 percent threshold necessary to avoid a runoff. In Louisiana, if no Senate candidate receives at least 50 percent of the votes, the top two candidates compete in a runoff election on December 6. Both polls predict that Landrieu would lose to either Rob Maness or Bill Cassidy in the event of a runoff by a sizable margin. “Support for Rob Maness is rising statewide, while Landrieu and Cassidy are falling. This poll shows Maness can win a runoff against Landrieu,” said Family Research Council Action President Tony Perkins. Family Research Council and its associated PAC, Family Research Council Action, are very conservative groups, which have controversially been listed as hate groups by the Southern Policy Law Center, a liberal advocacy organization. The Family Research council has endorsed Maness for Senate. Cassidy, a congressman for Louisiana’s sixth district since 2009, has been the widely favored front-runner in the race, and has the support of the Republican party establishment, but Maness’s run has put him on the defensive. Maness boasts three decades of service in the Air Force and has attacked both Landrieu and Cassidy as career politicians. Maness has garnered support from the Tea Party movement and an endorsement from Sarah Palin and has made large gains in the polls since September. Still, Maness is trailing 12 points behind Cassidy, who has tried to avoid confrontations with Maness to preserve his lead, skipping the first televised debate of the race on October 9. Neighboring Georgia has a similar rule for runoffs for Senate races, with the later election scheduled for January 3rd in case that neither Republican David Perdue nor Democrat Michelle Nunn receives a majority of the votes.